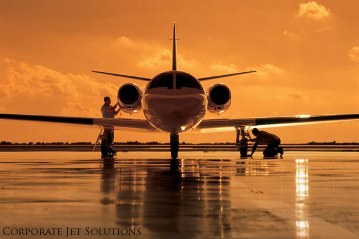 Corporate Jet Solutions can move most aircraft, anywhere and most of the time at short notice. We cater for clients needing a ferry pilot or ferry pilots to move their aircraft and helicopters worldwide. Our pilots are current throughout a broad range of aircraft and maintain current simulator training on most business jet aircraft. With worldwide experience in operations, flight planning and aircraft management our professional pilots can move your asset anywhere in the world. In addition to their delivery expertise, many of our pilots are certified flight instructors and are specially trained to mentor owners or company pilot's while your aircraft is flown to its new home. Once at your hangar, we can remain with the aircraft for both short and/or long term contracts ensuring that your crew is professionally trained and aircraft operated safely until your crew is 100% comfortable with their new equipment. Our ferry pilots all maintain first class medicals and take personal pride in your aircraft. Professional Ferry pilots, trained and ready to ensure you have an excellent aircraft or helicopter delivery experience. Please continue to peruse our website and Email Us or call 480.788.6090 with any questions you may have.